The RRC attacking the 2k Row at the end of yesterday’s practice. 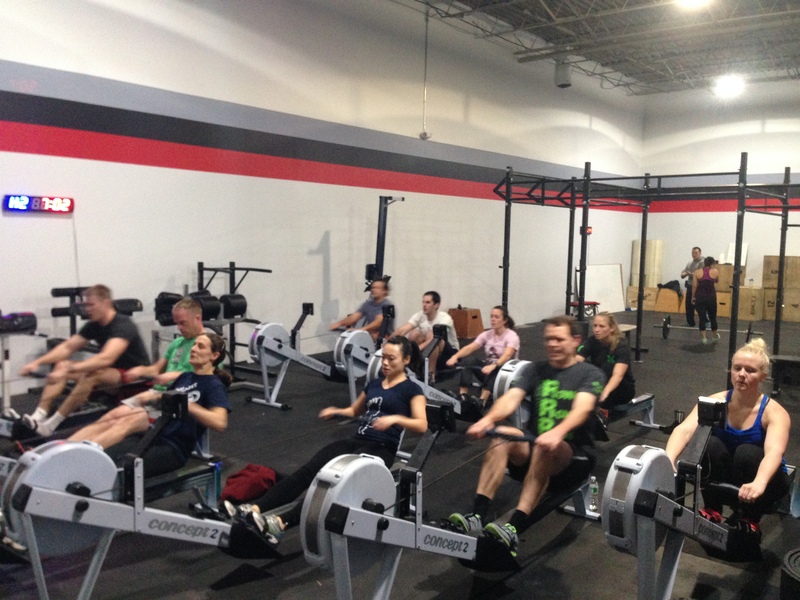 Renegade Rowing League is coming up, Register Now! Today’s focus is Rhythm and Intensity. Get in some good skill work by warming up with a Reverse Pic Drill and Pic Drill in your 10min Erg Warmup. Go hard for the start and finish of this workout, but be smooth and efficient through the bulk of the work. Focus on breathing and consistent pace. Find the right scale so that each movement is challenging and pushes your intensity while allowing rhythm and flow. A good goal would be holding a 2k-1 pace for the 500m pieces. This week is a practice week in the Renegade Rowing Training Plan. Today is your opportunity to compete against yourself and everyone else on your team to get a baseline for Rowing Helen. Dig deep and push harder for the person next to you! Next Friday you’ll get a chance to Re-Test this. Post your time for the Strength and Conditioning WOD to comments as well as your splits for each 500m piece. 500m splits: 1:49.2, 1:48.1, 1:49.9, total time 10:13 (but modified pull ups with ring rows), felt good, form kinda went away on third 500 (that seems to be my trademark!). Great seeing you get after it and make those changes in the warmup Erin! Keep fighting for that third 500! I recall around a 2k for the first piece, so about 1:50-1:51, and the final piece around 1:45. Awesome Stan! Way to get after it! Keep it going! Megan – 11:35 with modified ring rows! Rob – 12:40 with modified ring rows and 45lb kb! Awesome Tadhg! Keep up the great work and commit to those changes!